Although the United States Air Force has long been considered the best and most powerful in the world, the aging fleet of aircraft that’s currently in use could be an indicator of pending change. Failure to protect our nation's skies can lead to vast and catastrophic consequences in the future, so the importance of maintaining a first-in-class fleet of aircraft cannot be stressed enough. However, this begs this question: Is it more expensive to maintain our nation's current fleet, or would it be advantageous to replace them with modernized vehicles and updated equipment? It's incredibly difficult, if not impossible, to provide safety and protection over an entire country without the appropriate aerial defenses in place and at the ready at all times. This task is equally difficult when using defunct, outdated or archaic aircraft. When you consider that the average age of today's USAF-sanctioned vehicles is at least 26 years, you can begin to realize how critical of an issue this really is. Some vehicles, including transport, cargo and refueling aircraft, might be in service as long as 80 years. Even the USAF F-15 and F-16, two of the most well-known fighter jets in existence, have been in use since the 1970s. Moreover, the U.S. Air Force has also invested nearly $2 billion in recent years to renovate and upgrade the U-2 spy plane, which was originally introduced in the 1950s. Given the current state of technology, as well as its rapid advance in the 21st century, there's simply no reason for a modern air force to maintain equipment that is, in many ways, antiquated or outdated. While it may not be feasible to replace the USAF's entire fleet, there are a number of upgrades that can be made. There's no denying the U.S. Air Force needs to make some serious improvements to its current fleet of aircraft. Even something as simple as upgrading the power supply on current military aircraft to a zero voltage switching system can improve power consumption and efficiency by as much as 8 percent. Boeing, a company that already provides support to all branches of the U.S. military, is currently working to obtain a long-term contract for maintaining and upgrading vehicles. One of its foremost projects is the renovation and upgrade of nearly 600 F/A-18 Super Hornet fighter jets, which is expected to cost several billion dollars over the course of the next few years. The purpose of the project is to extend the lifespan of the U.S. Navy's current fleet of F/A-18 Super Hornets, which, according to the Navy, isn't due for retirement until sometime in 2040. Northrop Grumman is also hard at work coming up with the next advancements and innovations in the defense sector. The relatively recent strategy of rapid prototyping serves to speed up the entire proposal, development and production processes, and it can pay real dividends in the end. Regardless of the somewhat dismal state of the USAF's current fleet of aircraft, there is hope for the future. In fact, the Aerospace States Association, or ASA, has recently entered into a joint partnership with the Aerospace Industries Association, or AIA. The newfound teammates will work together to promote the aerospace industry, attract increased attention to jobs within the aerospace sector and encourage future collaborations. 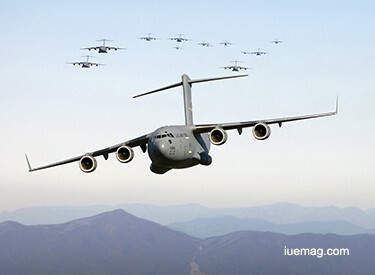 It is somewhat surprising to the see current state of the USAF's vehicles, especially considering the emphasis that is placed on national defense in this day and age. While it's not too late to improve the situation, something clearly needs to be done sooner rather than later.